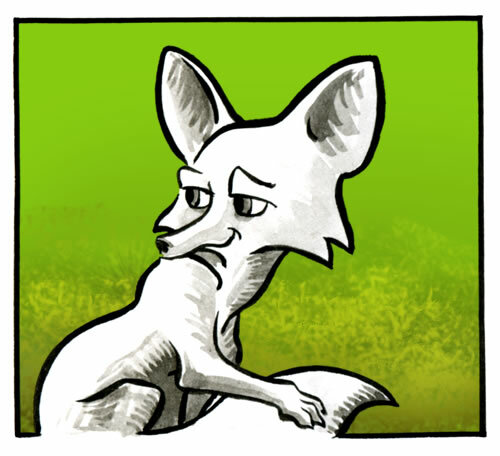 Here's a little ink wash/photoshop pin-up of our new friend, the Kit Fox. Her bio has some handy facts about the species. Trivia: This image was used on a fund-raiser t-shirt at the request of the Biology Department of Bakersfield College (in bakersfield, CA). It was used to illustrate the San Joaquin Kit Fox, an endangered Mojave Desert species.